Less than 20km from the heart of Florence, right off the main highway going to Siena, is the stunning new Antinori Chianti Classico winery. Set among olive groves and geometrically aligned vineyards, the winery is almost hidden, as most of it lies underground. The Antinori family has been in the wine business since 1385, but don’t be fooled by the long history – here you won’t find dusty archives but an active and prolific wine empire which boasts two of Italy’s top wines: Tignanello and Solaia (produced on a nearby Antinori estate). 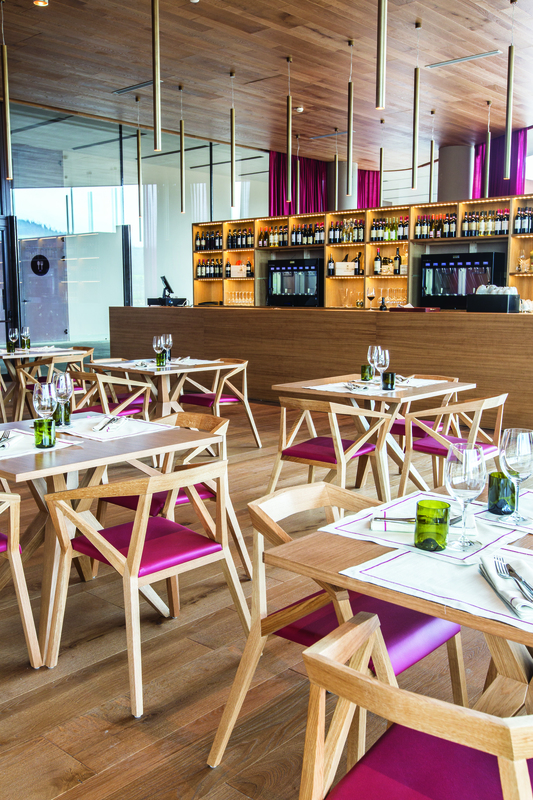 First opened in August 2013, the new winery, designed by Marco Casamonti – one of Italy’s leading architects – has more than 600 years of winemaking on display in its wine museum, book shop, art collection and, of course, wine bar and tasting rooms. All of this is housed within a structure using local terracotta, conceived to generate the perfect climatic conditions needed for the barrels. An incredible iron spine to the building gives the sensation that the floor is actually suspended above the foundation. Hours and visits: Monday–Saturday 11am–7pm, Sunday 11am–3pm. Guided tours run every hour (10am–4pm) for €20 per person – booking essential. Custom tour options are available. There are several casual tasting options for those visiting without reservations. When Lorenza Sebasti and Marco Pallanti started Castello di Ama a little over 30 years ago, the hamlet and its vineyards and olive groves were in a state of abandon. 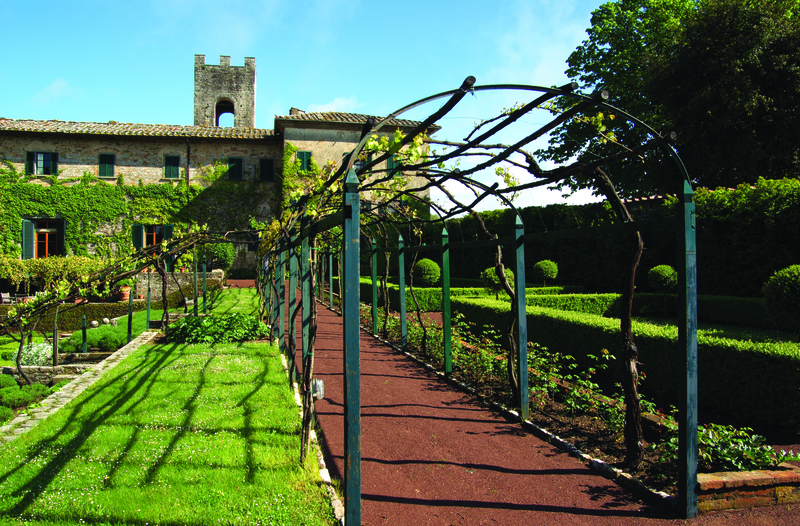 Today, the 12th-century castle is beautifully renovated and has one of the most important wine-related contemporary art installations on site, as well as fantastic fine wines such as the Haiku Chianti Classico. Visitors can enjoy artworks by world-renowned artists such as Daniel Buren’s mirror wall (that reflects the vineyards) or Anish Kapoor’s ‘Aima’ with its pulsing red light in the tiny church of San Venanzio. While many wine producers also make extra-virgin olive oil, Castello di Ama has a state-of-the-art olive press which allows the Pallantis to bottle one of the countryside’s best oils – a must try! Hours and visits: Visits are private, for a fee and by appointment only. The castle here was built 1,000 years ago to guard Florence, and great artists such as Donatello and Michelozzo Michelozzi regularly purchased wine from the estate. It was destroyed in 1944, then partially rebuilt but you can still view the original cellar at the Renaissance villa. Nipozzano is the real thing: a true working farm, and a big one at that with more than 600ha, including olive trees and an on-site olive press. Chianina and Angus cows can be seen roaming free in the fields. A visit will include a tour of the monumental cellars where the Chianti Rùfina (the higher appellation in the Chianti area) is aged. Other highlights include the tasting room in an old kitchen, as well as the views of perfectly maintained vineyards across the valley. If you are there to buy, the old vintages start from 1864 but Marchese Lamberto Frescobaldi is very fond of the 1960, 1974 or 1981. Hours and visits: Open on weekdays. Visits must be booked in advance. Just a few miles from Florence towards Prato is Capezzana. 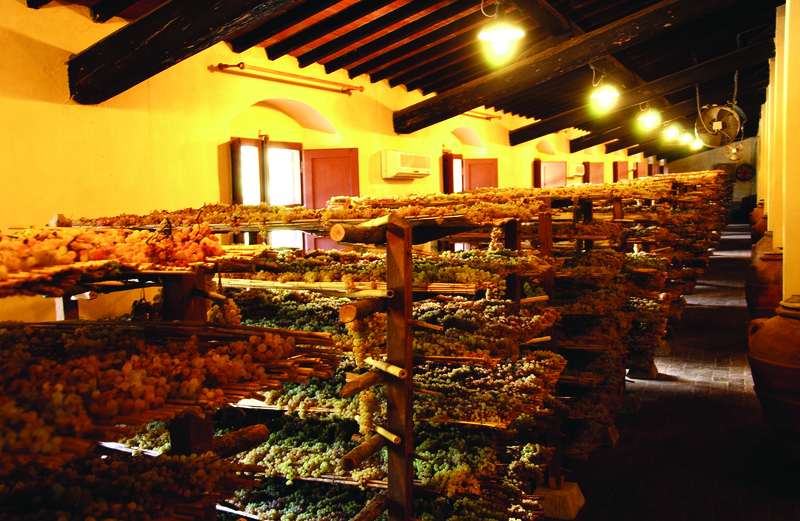 The estate has been producing wine and extra-virgin olive oil since 804. More recently, the Contini Bonaccossi family has been running the estate since the 1920s. The youngest members, Oscar, Ettore, Giulia and Duccio – all 21 years old – created the newest aspect of the winery: a wine bar called La Vinsantaia (open April–October) where guests can enjoy informal wine tastings, as well as food. This is a large, diversified estate, with 650ha of forest, organic vineyards and olive groves, and a cookery school. Hours and visits: Open Monday to Saturday. Tours are €10 per person for a tour and tasting that includes three wines. Booking in advance is recommended. Salcheto became the first self-sufficient winery in Europe with its 2011 harvest. Most of the energy comes from renewable sources and recycled winery materials. There are water reclamation practices, solar panels providing energy to the cellar, and the wine tanks operate off the excess CO2 that is produced during fermentation. Salcheto is also certified organic, and is Europe’s first winery certified to use the green carbon footprint sticker on bottles, producing top-notch wines. Although Salcheto’s inaugural vintage was 1990, the new winery was only completed in 2011. Overlooking the stunning town of Montepulciano, Salcheto is one of the most beautiful wineries in Tuscany. Its president, Michele Manelli, is the mastermind behind this ambitious project, which has culminated in Obvius, a supremely pure new-release wine that offers an ‘all fruit experience’. Visitors to the estate are given an insight into the incredible technology in place as they tour the production facility and ageing room, and learn about what sets Salcheto apart from other wineries. A subsequent tasting is likely to make you a firm believer in both high-tech and green principles. Hours and visits: Open daily from 11am to 5pm. Tours can be arranged by appointment with a tasting of three wines, starting at €5 per person. Restaurant: There’s an enoteca where you can taste Salcheto’s wines by the glass and enjoy a light lunch of cold cuts, cheeses and other simple dishes. 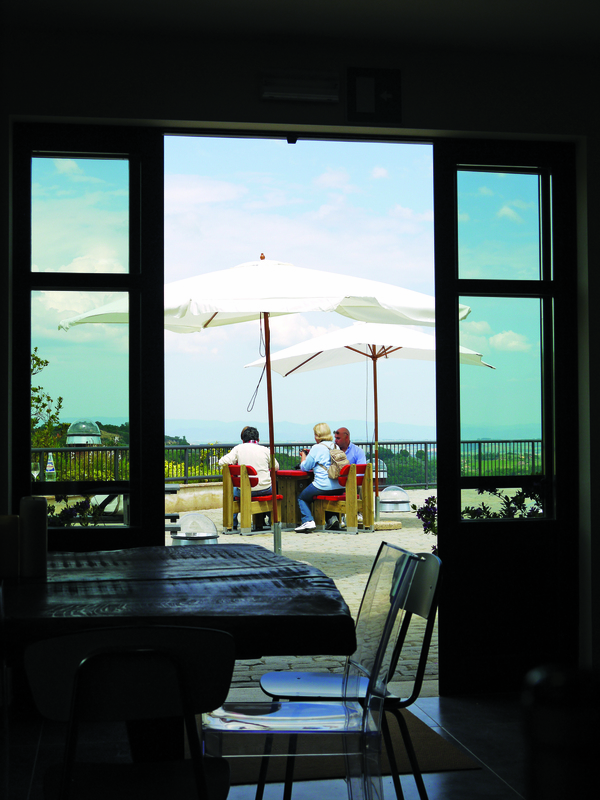 The views from the terrace overlooking Montepulciano are beautiful. Tuscany is filled with beautiful farms, wonderful churches, great trattorias, welcoming hotels, organic gardens, refined wines, old vintage treasures and interesting winemakers. Not many estates can boast them all at once. Badia a Coltibuono is an old monastery from the 11th century with extraordinary architecture in perfect condition. In the old crypt, where the monks once had their cellar, Chianti Classico is aged in big oak casks. At the end of the cellar is a corridor that takes visitors to the old cloister. The refectory is one of the property’s beautiful vaulted rooms, boasting 16th-century Poccetti frescos. Today it is the communal space of the beautiful B&B. Here guests are able to sample a glass or two of wine while tinkling the ivories on the treasured Bechstein piano. Hours and visits: A tour and tasting is available by appointment only at 11am on Tuesdays, Wednesdays and Fridays, May–October. The 90-minute visit includes three wines and costs €12 per person. Other private options are available, including an old vintage vertical tasting, at an additional cost. Tenuta San Guido is just 3km from the coast and only 10km from the highest hill in the area. Here, Italy’s first vine cuttings of Cabernet Sauvignon and Cabernet Franc were planted by Marchesi Mario Incisa della Rocchetta in 1944 to produce his own house wine. The wine then was just a table wine, with no relation to any famous appellation – hence the term Super Tuscan was born to describe this masterpiece, and later emulators. This was the beginning of one of the wine revolutions of the 20th century. 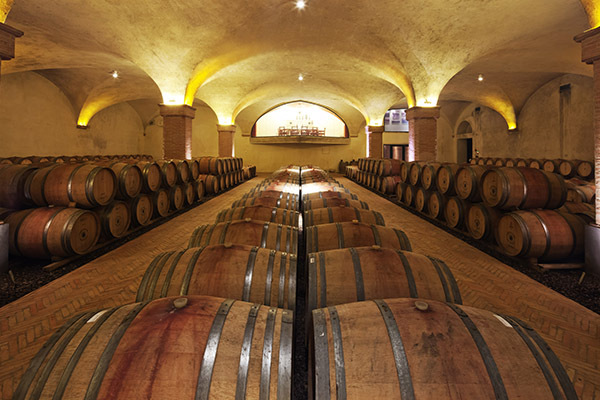 Just a few years ago, Tenuta San Guido built a new cellar to host the barrels of Sassicaia. Visiting the property is not easy, but if you can arrange a tour, it will be unforgettable, as winery staff take you through the production and ageing rooms and help explain the mystique of Super Tuscans. Hours and visits: You can make a reservation to visit the estate for a group tour and tasting through La Strada del Vino Costa degli Etruschi. For more exclusive tours, access is limited and slots fill up far in advance. Bob Cuillo was born to a poor family in the Bronx, New York, but he went on to own one of the largest car dealerships in the US. After this, he dedicated himself to his passion: music. From the 1970s he produced films and shows on Broadway and in London. What does this have to do with wine? Well, Cuillo bought Casalvento, a property in the heart of Chianti Classico in 1997 and Livernano, the neighbouring wine estate, in 2002, resulting in a property of 185ha, with 25ha under vine. 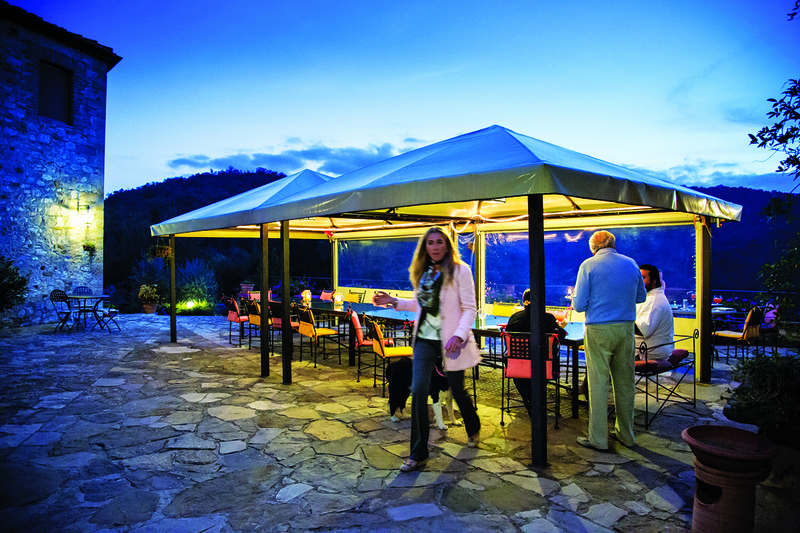 He restored the old Livernano village and turned it into a country resort with a restaurant. Today, Cuillo’s wife Gudrun meets almost every visitor to the winery, so a wine tour here is one of the most personable experiences in Tuscany. 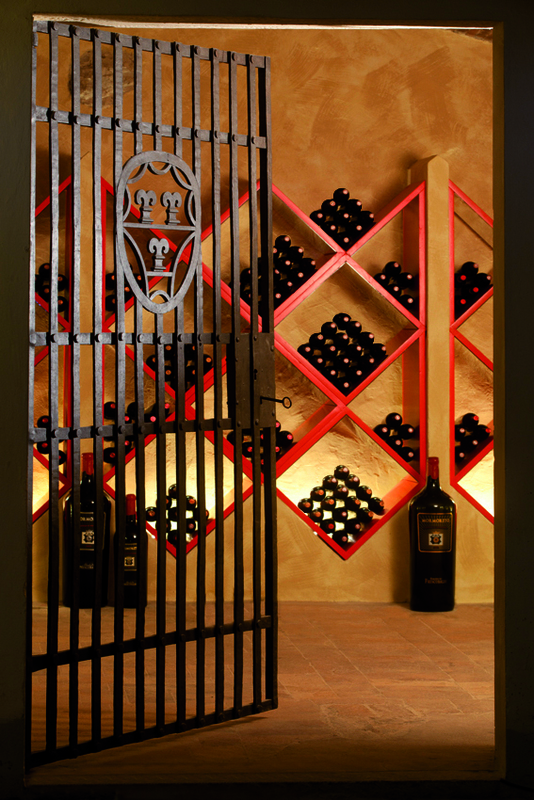 Hours and visits: Open daily at the Casalvento estate for wine tours. You can drop in for an informal wine bar visit or make an appointment for a proper tour and tasting – all for free. In 1888, the first Brunello di Montalcino was bottled here. In 2013, Franco Biondi Santi died at the age of 91, leaving his son Jacopo Biondi Santi, the fifth generation, at the helm of one of the world’s most famous wineries. Tenuta Il Greppo is high up in the hills of Montalcino. The ancient, rocky clay, Tuscan galestro, is the best soil to cultivate Sangiovese grapes, and wines here are old school, ageing up to three years in big Slavonian oak casks. 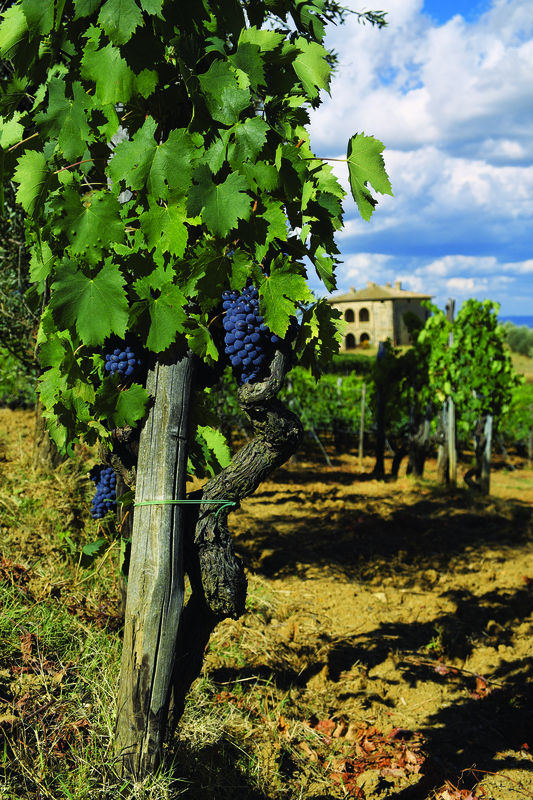 Visiting here is like taking a step into Brunello history. Friendly staff lead guests through the beautiful estate, including the cellar – and by the barrel used to store the world’s first Brunello. The tour concludes with a tasting of current release Brunello and Rosso di Montalcino or, if desired, a more extensive tasting. Hours and visits: Weekdays, by appointment only. Basic tour and tastings are €15 per person, but can cost more, depending on what you taste. There’s the bonus of being able to buy an incredible selection of vintage bottles that have never left the estate. Currently drinking well are the liquorice- and violet-laden 1985, the balsamic, mineral 2001 Riserva, and the cherry- and cranberry-driven 2007. The ancient hamlet was built in 1100, right in the heart of the Orcia valley, a UNESCO World Heritage site known for its breathtaking landscape. Massimo Ferragamo bought the estate 11 years ago and turned it not only into a beautiful winery producing modern-style Brunello, but also a splendid resort with two great restaurants, a spa and one of Italy’s most sought-after golf courses, designed by Tom Weiskopf. 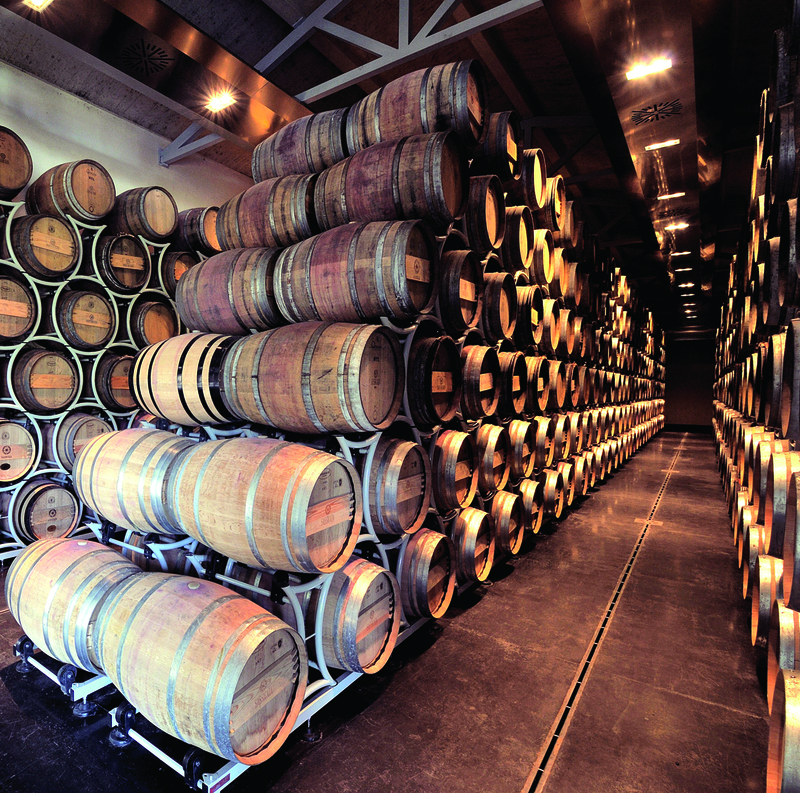 The wine tour starts in the barrel cellar, an impressive wooden amphitheatre, and finishes in the slick tasting room. 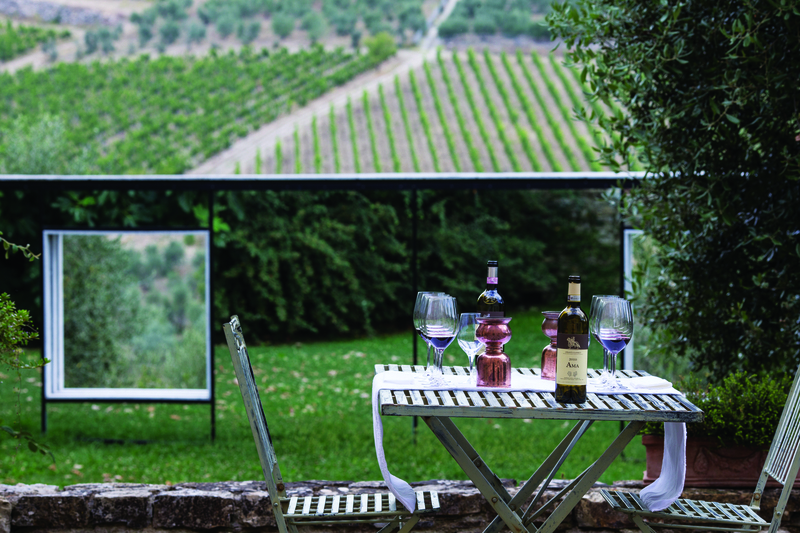 Be sure not to miss a visit to the Campo del Drago vineyard – one of the most picturesque in Italy. Hours and visits: Various types of visit that can be arranged at a time to suit, depending on your interests. Booking beforehand is required. Restaurant: The main restaurant, Campo del Drago, is known for its excellent fare in elegant surroundings.